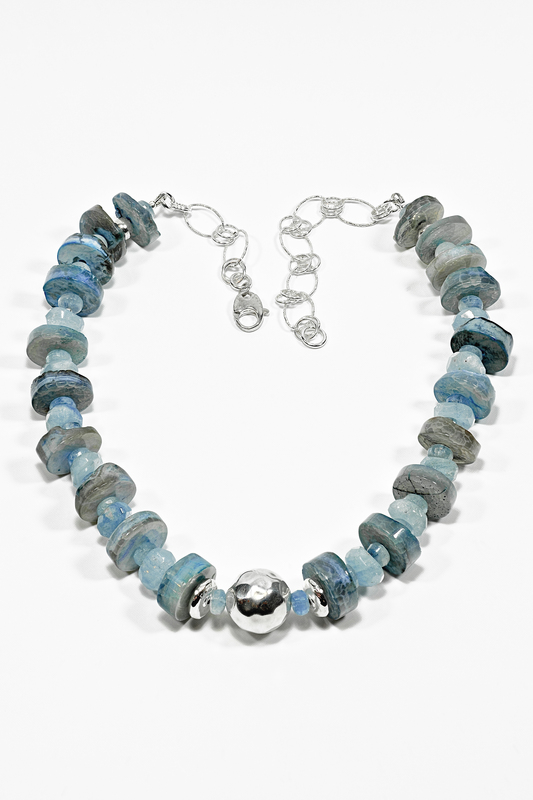 Colombian agate in blue with aquamarine and sterling silver….. The Christmas Open House invites are coming soon. I have combined exercise and delivery and will drop some at addresses that are close to where I live. The rest are going in the mail today and tomorrow. Again a wonderful design by Randy Cameron of Paris Green Creative. He designs the Beyond the Valley Studio Tour brochures as well as cards for all my events. There will about 30 of my pieces at the Small Works Exhibit at the Carnegie Gallery, at the corner of King St. and Ogilvie, in Dundas. The Carnegie hosts quite a number of local artists during this exhibit. 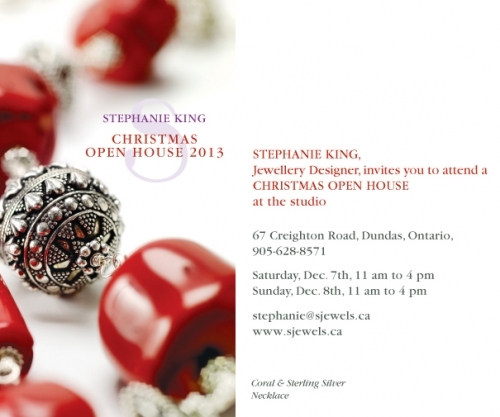 The opening is Saturday, November 30th from 2 to 4. It is a great place to shop. 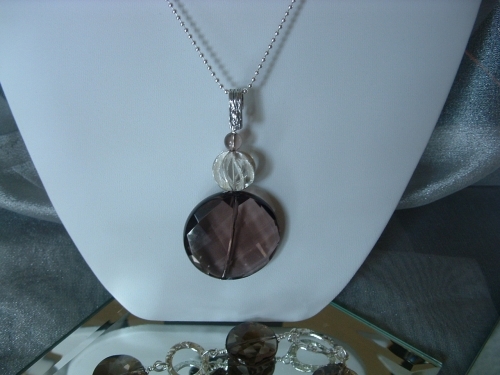 This smoky quartz pendant will be there. It is a disk of faceted smoky quartz decorated with a piece of sterling silver that I brought back from Italy. I call it a cage. The chain and other decorations are sterling silver as well.